Today, the Burn footpath is a delightful walk through beautiful rural scenery.. Turn the clock back to the 1860s and along the banks, where local people now stroll with their dogs, tubs of coal were being dragged on their way to the gas works and blast furnace down-stream. Kilns, firing bricks and tiles, filled the air with smoke. Where now you pause for a picnic, two busy woollen mills processed local fleeces. 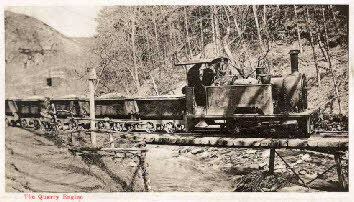 Sledges and carts, loaded with sandstone for building, trundled down the track and further up-stream, limestone and coal were being loaded into limekilns. Come forwards in time to the 1930s and 600 men and boys would have stomped along the Burn path on their way to the South Tyne Colliery while narrow gauge trains chugged past carrying road-stone from the Whin Sill to the marshalling yards on the meadows beside the Tyne. Tanky crossing the Burn carrying road-stone from the quarry at Cawfields. . But the Burn’s history is not just about industry. Many families lived out their lives in the various buildings along its banks and countless children made it their playground and courting couples their romantic retreat. 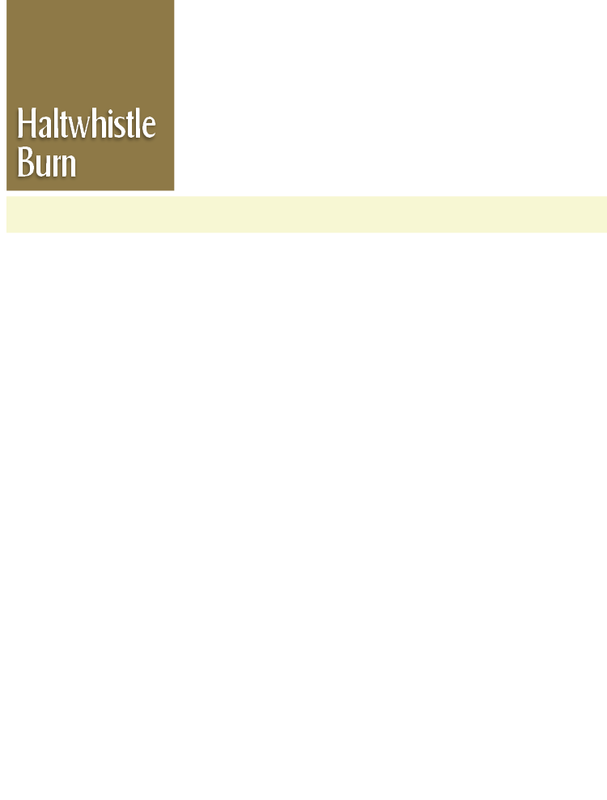 From the first corn mill built by the Romans until the closure of the last fireclay works and narrow gauge line in the thirties, Haltwhistle Burn was the industrial powerhouse of Haltwhistle bringing employment, prosperity and delight to the people of the town. 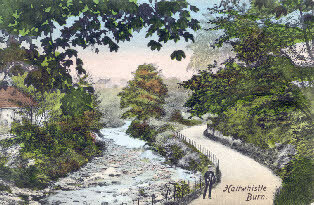 The Burn has always been an important part of peoples lives in Haltwhistle and it remains so today.